What happens when I 'Fling' a creature with deathtouch at another creature? Spairut, thanks for the input. I appreciate it a lot. I have a few more questions, though. 1) How many Mana Leak , Countersquall , Thought Erasure , Gifted Aetherborn , Opt , Serum Visions , Night's Whisper , Read the Bones should I add? 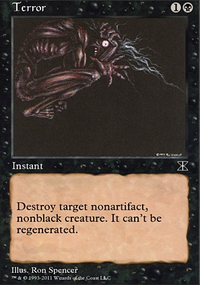 2) What is the advantage of Night's Whisper and Read the Bones in this deck? Just curious. 3) Why leave out Tyrant's Choice ? 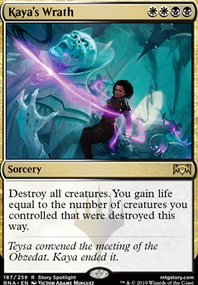 The pump spells are a must with the Agent of the Fates , every time you buff it an opponent sacrifices a creature. 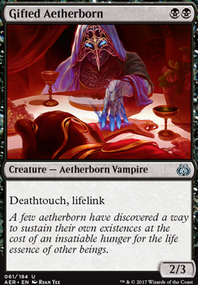 The next change will be to add 4x Gifted Aetherborn that have to come in the mail by the end of the week. 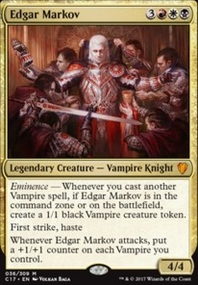 you cant destroy lands , counter spells , cull libraries,draw, gain life all at the same time in the same game . its better to have one or two of those and more copies to increase the odds of having what you truly need. although the cards you have are very high cost. You could try in this deck Viridian Longbow equip it on a deathtouch creature and that 1 damage destroys anything without indestructible or hexproof. Same with Pathway Arrows . 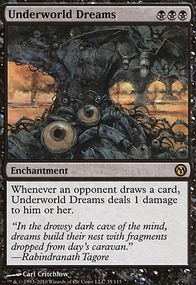 Remove: Despoil , dread waters , mind sculpt (this card is for a mill deck) , talgams scheming , thassas bounty , tyrants choice , crippling blight , mysteries of the deep , weave fate , nightmare , sidisi's pet. deathgaze has a very high cost for what it does. I would add 4 Duress or Thoughtseize (this is an expensive card). Thought Erasure . 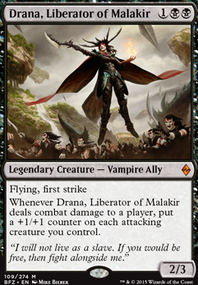 Mana Leak to counter anything early game , Countersquall .